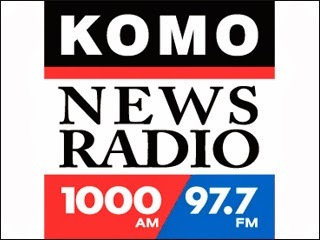 If you're in Seattle, today during your drive home on KOMO Newsradio, you may have heard me talking about how iOS 7, the latest version of Apple's iPhone and iPad operating system is literally making some user's sick. No, I'm not referring to the hours it took you to download... or your empty bank balance after upgrading to a new iPhone 5C or 5S this past weekend-- but sick from the transition animations built into the most popular software upgrade of all time. Also, we touch on a security update to iOS 7, out today, version 7.0.2 which you should download if you haven't already. Is iOS7 giving you nausea? For the active Northwest family, keeping your home secure while constantly heading out to enjoy the outdoors can become problematic quickly. Enter the Schlage Touchscreen Deadbolt. Its sleek pad comes to life with a quick tap. 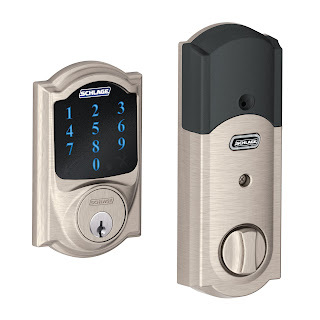 This convenient security device contains the convenience of a touchscreen with the strength and confidence of Schlage, a brand known for security. After the fine folks at Schlage graciously sent me a device for my own home, I was excited to replace our standard builder-provided, generic, deadbolt with this connected solution. The installation process was relatively straightforward, even for the novice DIY’er. I hate to admit that I did consult the instructions a few times, but someone experienced with installing locks and deadbolts could likely leave the surprisingly easy-to-read instructions in the package. I had mine installed in less than 25 minutes. I suspect if you’re installing more than one (say, on a back door or side access area), you could have a few minutes off subsequent installs. You won’t, however, want to ignore the directions when it comes to programming the Schlage Touchscreen Deadbolt. With capabilities such as holding up to 30 programmable codes, it’s perfect for guests, housekeepers and neighbors that need temporary access. In addition to the custom codes – that can be easily tracked – the lock has sensitivity-adjustable alarms. The alert can act as a deterrent for break-ins making me feel secure that my home is protected – and ensure my friends won’t be left banging on my door for too long if they come for a surprise visit. Within about a week I was adding and removing codes without consulting the directions—but the power of this smart home security device was really taken to the next level with its z-wave compatibility. As if the lock isn’t loaded enough with features for you, the Touchscreen Deadbolt connects to your home automation system like Nexia Home Intelligence. By using the Nexia Bridge, your Nexia system’s workhorse, you can access your lock via an internet-connected device. 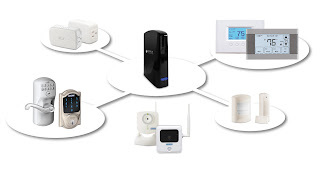 Unlock your front door with your phone or Ipad, program codes remotely, keep track of who has entered your house and when, and receive text alerts about alarm triggers or activation—all from a simple and intuitive interface. While the power of the Schlage Touchscreen Deadbolt was further maximized with the addition of the Nexia Bridge, for many households the smart, strong lock will provide convenience all by itself. Imagine a world without remembering or losing your house keys! What are your must have gadgets for the road? Leave your recommendations below or "like" my Facebook Page to comment! Apple, Facebook, Twitter, major media outlets and even government agencies have admitted to being hacked. While some are pointing to the Chinese government, there’s a consensus that cybersecurity is a topic we’ll discussing for the foreseeable future. No doubt it’s been a rough week for these brands on Twitter. While these calculated attacks targeted specific brands, they serve as an important reminder for everyone from major companies to individuals, that online security is an important topic. To make matters, some might say, worse, MTV & sister-company BET got in on the action through an unfortunate PR stunt. The “fake” attack today following the Jeep compromise made light of the attack against Jeep & Burger King. One can certainly see the temptation–Jeep gained approximately 10,000 new followers (the account typically gets a few hundred per day according to twittercounter.com). When I consult with major brands, we change the passwords often, use secure hard-to-guess codewords and remain cautious of who has those keys. If you are a brand and value your online reputation—take a look at your own strategy much as I’m confident Twitter is also doing. This is certainly not a problem limited to major companies-- I advise even small businesses and individuals to have a security plan, one they review often, and don’t be afraid to ask for help. If they’re NOT reviewing them today—they will (or SHOULD) be by tomorrow. What is your cybersecurity plan? Here's my appearance on KGW's "Live @ 7" w/Stephanie Stricklen from the 2013 International Consumer Electronics Show in Las Vegas, NV.